nute he’s fine, the next minute he’s yelling at his kids. His wife, Janice, frequently asks him to describe how he is feeling. How the heck should he know? Why can’t people just leave him alone! Janice finds Jack’s lack of self-awareness puzzling. How can anyone not know how they’re feeling? She is aware of every heart beat, practically. People sometimes call her a hypochondriac, because she’s so acutely tuned in to what her body is doing that when she’s under a lot of stress, she wonders if she’s having a heart attack. Jack and Janice are at opposite ends of the Self-Awareness dimension as described by Richard Davidson in The Emotional Life of Your Brain. 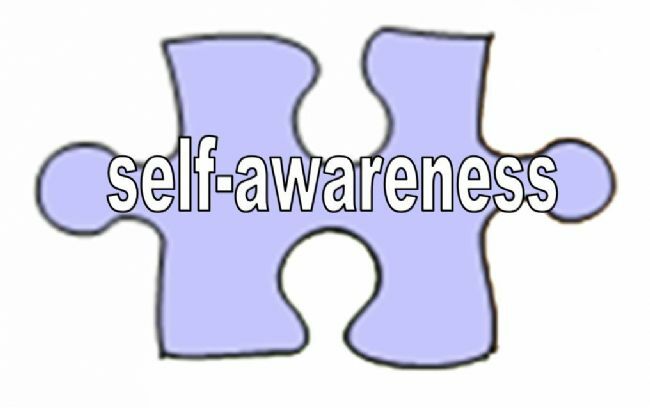 In this context, Self –Awareness refers to how well we perceive bodily feelings that reflect emotions. It plays an important role in empathy; awareness of our emotional state helps us avoid misunderstandings during heated discussions. We can correctly attribute our frustration to having sat in traffic for an hour on the way home, rather than the refusal of our toddler to eat his peas when we sit down to dinner. Scores at either extreme can be problematic, however. For the acutely Self-Aware, their hypersensitivity to the messages their body transmits can be crippling. The mere thought of wool touching their skin makes them cringe, and they liken it to insects crawling on their bodies. Or think of a relative with annoying food phobias, who insist they can’t eat (fill in the blank) because makes them feel bloated, groggy or queasy. It may well be that they have a heightened attunement to sensations on their skin, or their digestive tract. Nature designed us to be oblivious to many of our internal processes for a reason. Extreme Self-awareness can lead to hypochondria and panic attacks. Conversely, the Self-Opaque are blind and deaf to their emotions, even when they’re pointed out by others. They’re surprised when others ask why they seem anxious, jealous or angry. Unaware of their hunger, they fail to attend to plummeting blood sugar, with the result they are cranky and irritable. Over time, this may lead to neglect of their health. Or perhaps they are prone to explosions when dealing with others because they simply don’t notice how angry they are until it’s too late. They fail to take the opportunity to defuse by walking it off or taking a break before an important meeting or high stakes, highly charged conversation. What is happening in the brain? The insula is the key brain area. It contains a map of the visceral organs. Our sensitivity to bodily feelings is a function of both the level of activity in the insula, and our ability to recognize and interpret the signals. Challenge your assumption about the significance of internal bodily clues. When you feel your heart beating quickly, note that you have had many sensations that have proved to be innocuous, and in all likelihood, this is, too. This practice reduces activity in the insula. Work in environments to increase distractions. Multitask or keep a radio on.